With every scientific breakthrough, we get closer to a future that will bring many improvements to our way of life. But much like the technology of today, those improvements may be met with an equal amount of deterioration of basic rights. Increasingly, technological advances are putting decisions once made by humans into the hands of machines and we are willingly providing our most personal information to – and sharing our lives with – inanimate objects. From the digital assistants that sit on our shelves to the phones that we keep in our pockets, the fine line between privacy and transparency is slowly fading. While it is important to focus on how to protect against current threats, it is equally important to consider the privacy implications of the future tech of tomorrow. Here are three game-changing future technologies that will require us to rethink privacy as we know it. For nearly as long as the automobile has existed, man has dreamt of creating a car that can drive autonomously. Over the past decade, technological advances have made it very clear that not only is it possible, but that it is likely to be a reality within a few years. Fully functional autonomous cars are becoming more prevalent and more car manufacturers are rolling out semi-autonomous features today. While this is certainly a new positive for the world, essentially redefining what a car is and how we are required to operate and even own one, there are many concerns that we will have to deal with in the near future about their privacy. While it is true that all automakers collect data about drivers today, the cornucopia of data that an autonomous vehicle can produce will be even more profound. Where you go, how long you stay there, whom you traveled with, and many other information points will be easily available. All this without even mentioning the risks of auto hacking. 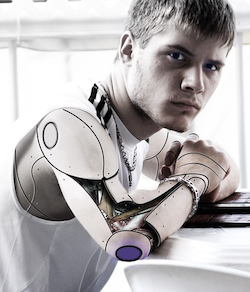 Futurists tout the benefits of merging the human body with machines. After all, the ability to enable the blind to see, the deaf to hear, and the paralyzed to walk is one that will change humanity for the good. Much like autonomous vehicles, however, they too represent a technology that can be hacked and used to invade your life. Humans are sensory machines. This, therefore, necessitates bionics to be sensory as well. Whenever there are sensors involved, data is recorded and much like the metadata that is created by individuals today, that data of tomorrow will be able to be analyzed and interpreted by individuals at the backend. This kind of privacy concern is only increasing and when humans merge with machines, there is no telling how invasive it will be. Artificial intelligence, or AI, is an achievement that many believe will lead to the singularity — an event that will trigger massive growth and technological advancement. Many are looking forward to this day, but others dread it. The reason for this is because AI will be able to access all facets of our lives in order to help improve them. By entrusting a machine with this information, we are also providing it with the unimaginably important task of keeping it all private. Unfortunately, the major companies that work in the field of creating and advancing AI have shown time and again that they cannot be trusted to remain on the straight and narrow with our most private information. Worse still is the lack of any cogent policy regarding the regulation and security of AI. Anything that has the power to improve our lives to such an extent can also do unbelievable damage. In order to govern the technology of the future, we must continue to impose regulations on the technology of the present. While it is comforting to know that there are many options for improving your security today, there is no telling what will happen to our privacy tomorrow.